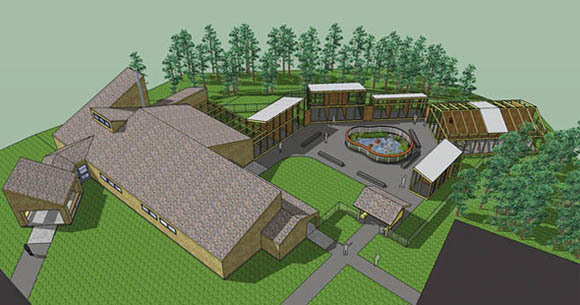 The Nature Center has exhibits that illustrate how changes in land use in Connecticut over the past 500 years have resulted in changes in the flora and fauna. 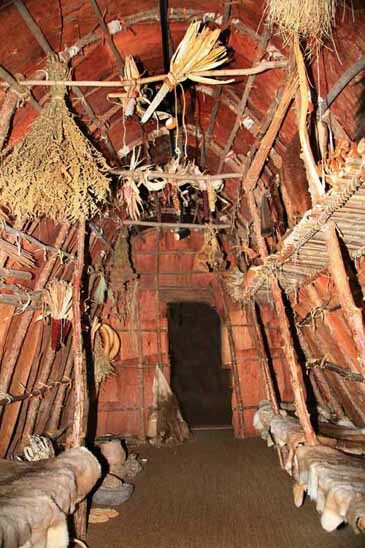 The Ancient Forest and Native American exhibit show how Native Americans managed the land and showcase the animals that were common five hundred years ago. 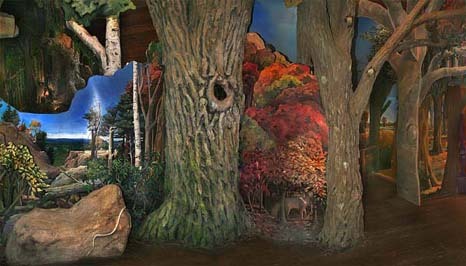 These new exhibits help explain how land use and wildlife has changed in Connecticut over the past four hundred years. Starting in the 1600s, Colonial settlers cut down the forests and established farms and pastures throughout the State By 1850, the original forests had essentially disappeared beneath the plow. After many farmers abandoned their farms and moved west in the late nineteenth century, Connecticut’s pastures reverted to thickets and eventually young mature forests. Now, with rapid suburban development, the landscape is again changing and a new group of animals are taking up residence in our backyards. 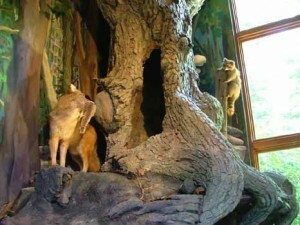 The beaver wetland exhibit highlights the role of beavers in the Connecticut landscape, was completed and opened to the public in March, 2006. 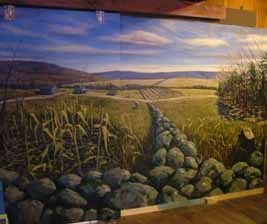 Artist Ted Esselstyn of Appleloosa Artworks has transformed our old resource room into an exciting beaver wetland, complete with beaver lodge, muskrat den and many animal displays. 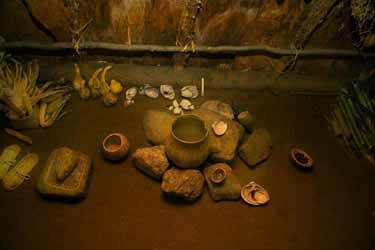 Visit our Native American longhouse to learn how Connecticut’s earliest residents used the abundant resources of the area to meet their survival needs. In 1994, 14 miles of the Upper Farmington River, stretching from Colebrook to Canton, was added to the National Wild & Scenic Rivers system by an act of Congress. 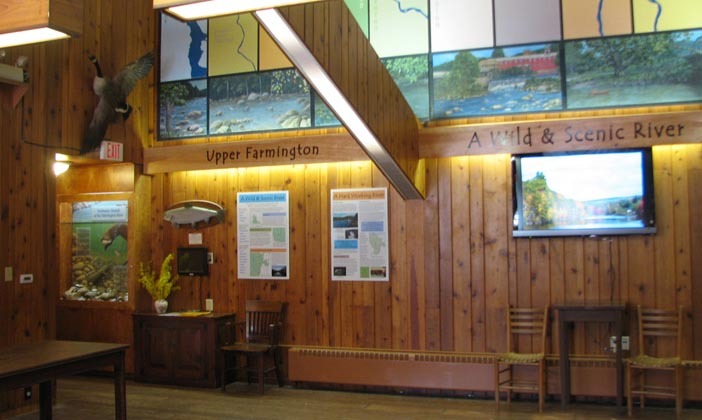 In 2003, the Farmington River Watershed Association embarked upon an effort to have the Lower Farmington River, from Canton to Windsor, as well as its tributary, Salmon Brook, similarly considered for this extraordinary distinction. 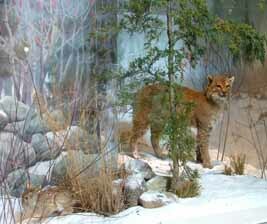 Our exhibit includes video, touchscreen, artwork and dioramas that showcase this wonderful River. for our wonderful resident / rehabilitating birds and animals. our fundraisers, or to make a donation. Roaring Brook Nature Center is especially proud to be home to numerous beautiful birds of prey such as hawks, owls, a turkey vulture and bald eagle. To learn more about these magnificent animals, click here. Inside the Center a small collection of live animals and animal mounts offer our visitors additional opportunities for learning. The live animals that reside in the Nature Center include a variety of snakes, turtles, frogs, and salamanders.